Home Biomass What is Biomass? Biomass is a term used to describe fuel extracted from organic material, as opposed to fossil fuels. It can be obtained directly from wood, straw or crops but can also be derived indirectly from industrial, agricultural or commercial waste. Biomass heating systems are usually used to provide warmth to a single room or for powering central heating and hot water boilers and can be a cost effective way of heating your home, as well as being ecological. 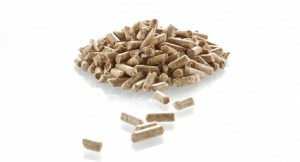 There are three main fuel sources for biomass boilers, these are woodchip, log and pellet. A common misconception regarding the fuel source is that once a biomass boiler is installed, the user will be able to use trees or wood from their garden in order to fire the boiler. This is only the case if the wood being used has been properly seasoned and you should always check with your biomass installer before using a fuel source like this. Biomass boilers are designed to deal with fuel efficiently but in order to do this they must be fed chips, logs or pellets that have been carefully constructed to burn at an efficient ratio. Log fed boilers tend not to have an automatic feeding system and rely on physical labour in order to operate them. They also require considerable storage space for the logs, as well as a large water storage cylinder (thermal store, accumulator or buffer tank) in order to capture heat produced from the boiler. Wood chip based systems may have automatic feeding operations, but their responsiveness is determined in part by the moisture content within the fuel source used. Broadly speaking, the wetter the fuel, the less responsive the boiler will be. Suppliers of woodchip can provide this fuel source with a moisture content ranging between 15% to 50%. Wood chips with a moisture content of above 30% may be prone to degrading in storage, so an effective storage method needs to be considered. 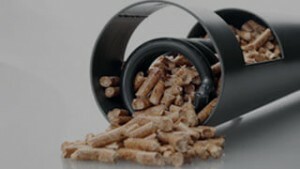 Pellet fed boilers are usually the most responsive to heat demands, and the most efficient of all the biomass systems. 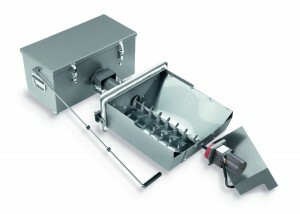 They tend to have the simplest controls and are easier to maintain and operate due to the inclusion of automatic hopper-feeds built in or attached to the unit. As well as this they include automatic ignition, automatic metering and can usually hold a larger supply of fuel. This is why Thermsaver’s range of biomass boilers are driven by pellet-fed systems, rather than log or woodchip fed options. Check local fuel suppliers around or near your area. Pellet boilers can be fed at varying intervals, depending on the type of boiler, fuel source and method of feeding. This can be through batch feeding the boiler with bags of pellets or pneumatically loading it from a fuel store. Either way, you will need to source a fuel supplier to deliver pellets. This is a cost that should be taken into consideration before you install a biomass system. It is also important to consider where a biomass boiler could be situated within your property as a pellet boiler requires a flue in order to operate. The flue must go up through the roof of your property so the positioning of the boiler has a lot to do with where a chimney can be/or already is positioned in your home. 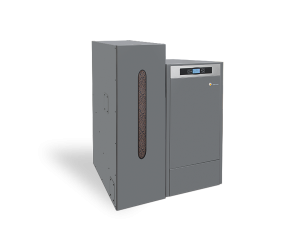 Which biomass pellet boiler is suitable for you is entirely dependent upon the space you have at your disposal and your requirements for the heat source. At Thermsaver, we pride ourselves on supporting our clients through the entire process, from surveying and technical support, to installation and maintenance help. We also provide first class training and facilities for biomass installation, to find out more about this, head to our Training section.